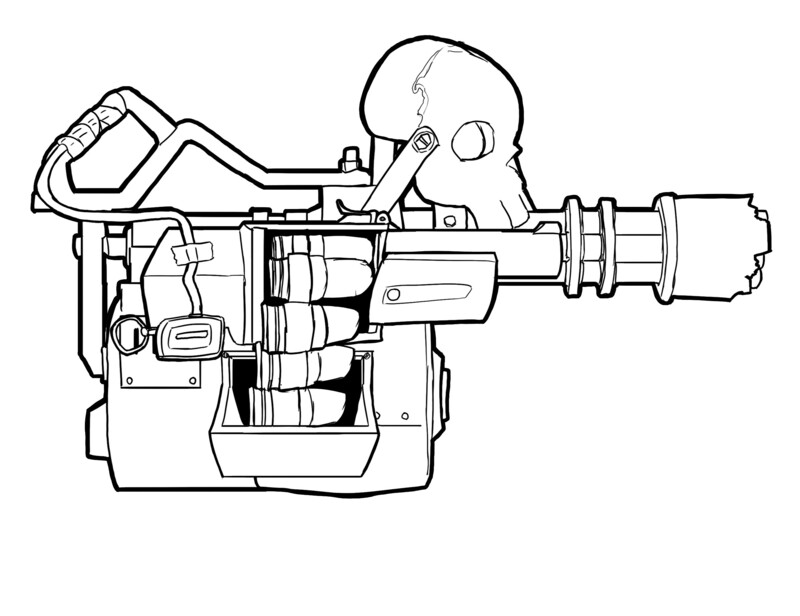 My friend and I have a 2D model of a Heavy TF2 weapon and we dont know how to make a 3D Image out of it. The person who helps us gets 15% of the payments. The weapon is named "Death Wish"
weapon would be crafted by: 2 Ref. Metal, 1 Unusual Scrap, 1 Loch and Load, 1 Natascha. - Every 20 bullets a Loch n' Load bullet would be shot.